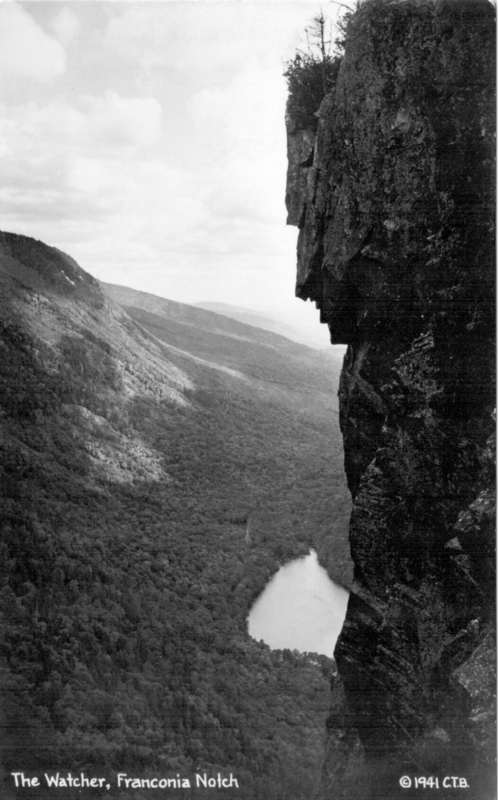 The Old Man of the Mountain, first documented by modern settlers in 1805, was a series of granite ledges on Cannon Mountain in Franconia Notch, New Hampshire. Throughout the 20th century efforts were ongoing to preserve the integrity of this state treasure. However, the rock face collapsed on May 3, 2003. 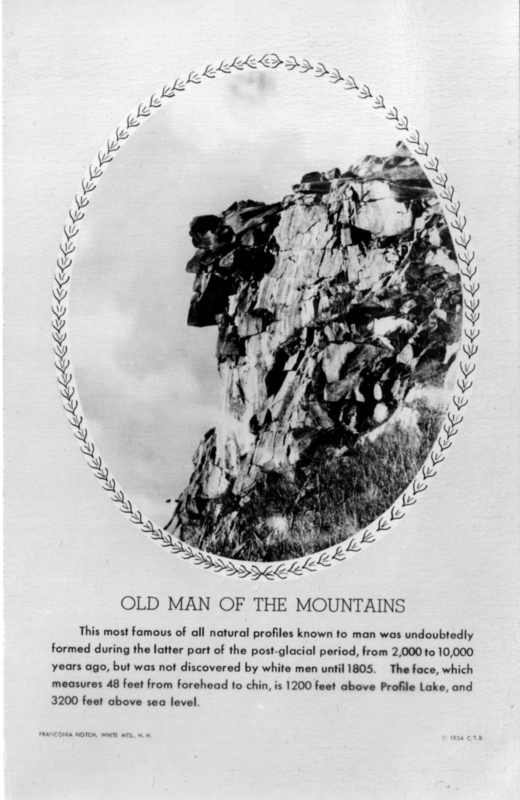 Learn more about the Geology of the Old Man of the Mountain. I have two trivets commemorating The Old Man of the Mountain. 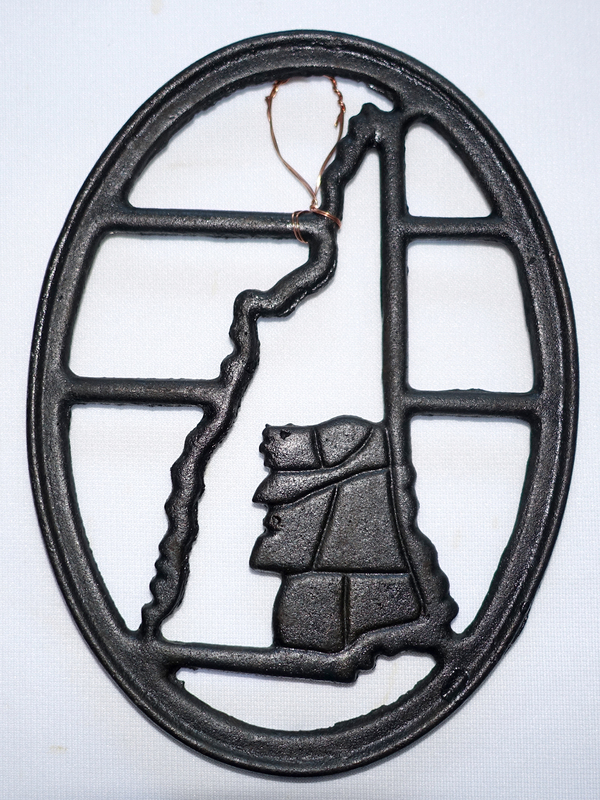 The first is a cast iron trivet signed PORTLAND STOVE FDRY (foundry) PORTLAND ME. Dimensions: 7 1/8″ x 5 1/4″ w/four feet; circa 1950-1970. 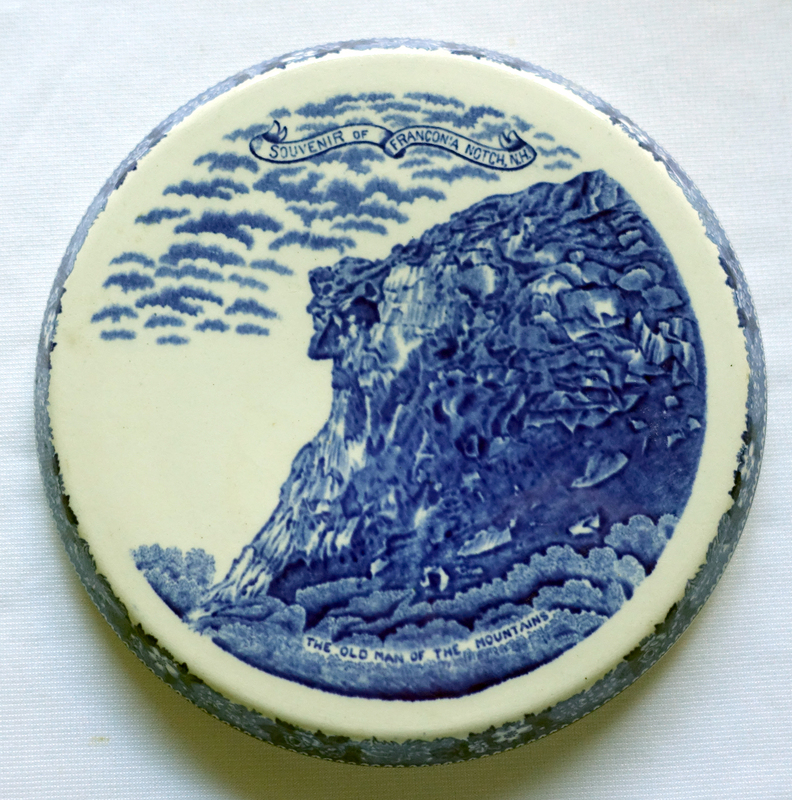 The second is a “The Old Man of the Mountains” ceramic souvenir signed Old English Staffordshire Ware. It has an early Jonroth England logo (used since 1909) and is marked “Imported for the Flume Reservation Franconia Notch NH”. According to park history I believe this trivet most likely dates to the 1920s-1930s. Souvenir postcards are also interesting to collect. The one featured at the top is a RPPC (real photo post card) dated 1941. The one below is dated 1934. Both were signed C.T.B. for photographer C. T. Bodwell. This entry was posted on April 26, 2016 by Lynn Rosack in Contemporary Trivets, Ephemera, Vintage Trivets & Stands and tagged cast iron, ceramic, postcards.